The first step to any good market research project is getting good data. And to get good data, you need to make sure you are recruiting the right respondents. 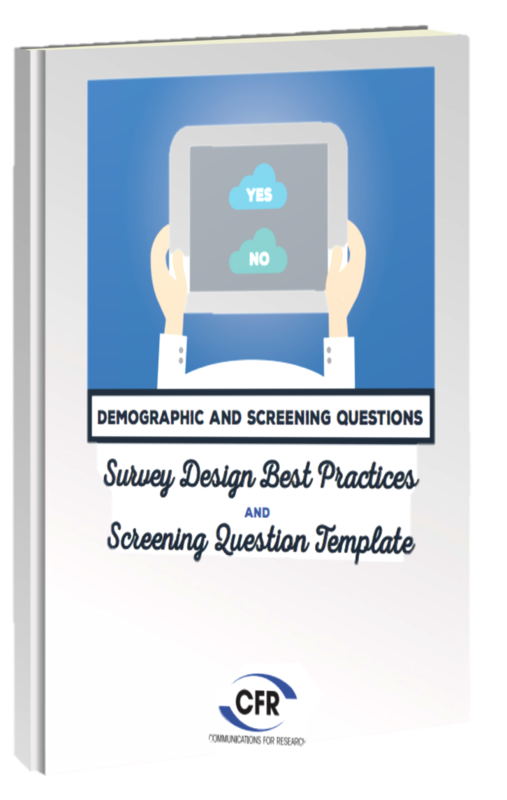 A free sample market research template with 8 demographics and screening questions to help screening for your next survey. Get your free survey best practices guide and survey template now! © 2014 Communications for Research, Inc.